As |Charity of Choice| for the sixth year in a row, Expect Miracles Foundation was proud to announce the winners of the 2012 Expect Miracles Awards, sponsored by American Century Investments, on April 5th at Institutional Investor's 18th annual Mutual Fund Industry Awards at the Mandarin Oriental in New York City. 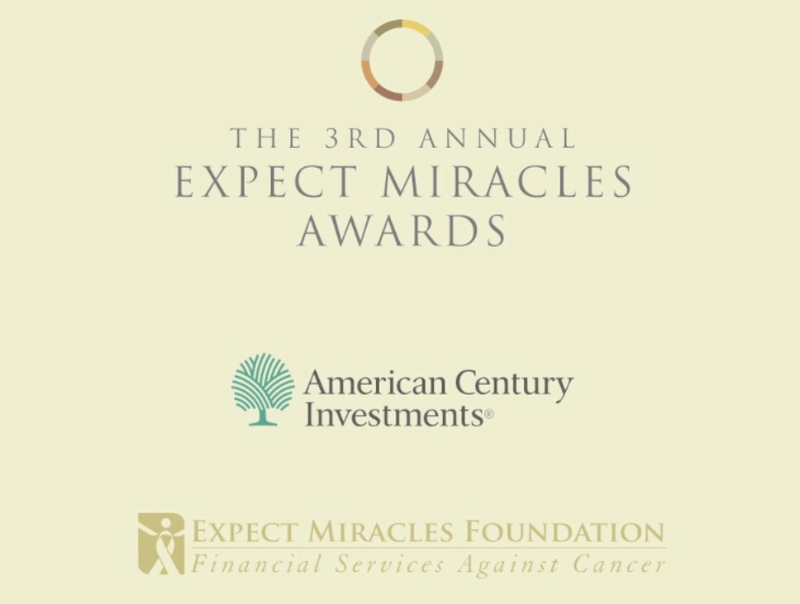 The Expect Miracles Awards recognize individuals and firms within the financial community for their outstanding support, commitment, and dedication to the fight against cancer. This year, we were thrilled to receive so many top notch nominations and proud to recognize all of the 2012 nominees and award winners. The Expect Miracles Awards Selection Committee is comprised of leading business professionals. To uphold the spirit of the Expect Miracles Awards, these individuals are unaffiliated with and independent of Expect Miracles Foundation and American Century Investments. Recognizing the diverse range and nature of the nominees' work in the fight against cancer, all nominations are judged on a standard set of criteria for each category to select the final honorees. The evening started on a high note as the night opened with an inspiring video montage of the Expect Miracles Nominees and the work they are doing in the fight against cancer. 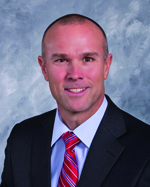 Peter Cieszko, Senior Vice President, North America of American Century Investments presented the corporate awards. Huntington Bank was awarded the 2012 Company for a Cure Award for their 2012 sponsorship of Pelotonia, a grassroots 180-mile bike ride that raises money for cancer research. The Corporate Commitment Award went to CIBC for their 20 year support of the Canadian Breast Cancer Foundation's vision for a future without breast cancer, raising almost $30 million to date. The individual awards were presented by Christina Thirkell, Executive Director of Expect Miracles Foundation. The Miracle Maker Leadership Award recognizes an individual at an executive or board level who has demonstrated long-standing personal leadership in cancer advocacy. 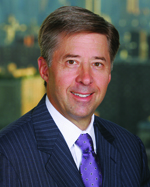 Stephen J. Czech CIO and Managing Partner of Czech Asset Management, L.P. and Dee Dee Ricks Founder of Ricks Consulting Group Inc., were given this honor for their exceptional work in the fight against cancer. Czech established the Mikey Czech Foundation dedicated to financing the creation and operation of a translational research laboratory for the study of DIPG brain tumors. Ricks was honored for her extensive advocacy work helping improve the standard of care for underserved individuals diagnosed with cancer. 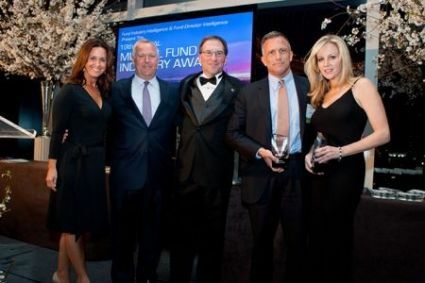 John London, Founder of Suttonbrook Capital Management, received the Inspirational Contributor Award, which recognizes an individual whose personal efforts helped to ensure the success of a cancer-related project, event, or fundraising initiative in 2011. London was given this honor for funding four new clinical trials through his Foundation, Solving Kids Cancer. One neuroblastoma vaccine has the potential to change the treatment paradigm for all children with cancer. 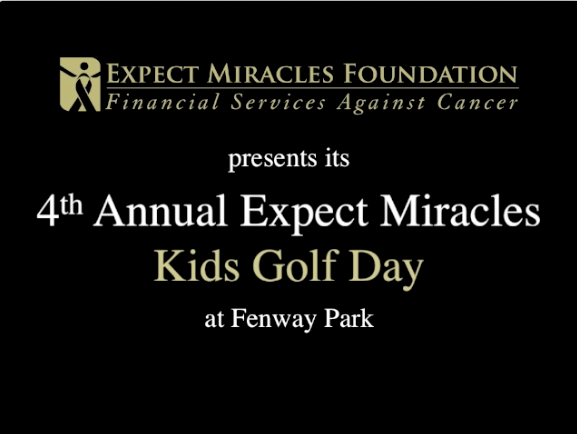 The Expect Miracles Awards program ended with a video highlighting the Expect Miracles Kids Golf Day, being brought to Fenway Park this year. The Foundation is inviting kids who have been impacted by cancer along with their families to historic Fenway Park for an unforgettable and fun-filled day of mini-golf, activities, and hope. The audience was asked to make a donation to help support the program and help send a child to this magical day, launching the campaign 100 Kids for Fenway's 100th anniversary. If you did not have an opportunity to make a contribution, you can still do so today. 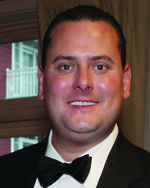 Stephen J. Czech, Czech Asset Management, L.P.
Stephen J. Czech and his wife Jennifer established The Mikey Czech Foundation (|MCF|) in 2008, after his only son Mikey passed away from a rare inoperable brain cancer. The Mikey Czech Foundation is dedicated to financing the creation and operation of a translational research laboratory for the study of DIPG brain tumors. The MCF has raised approximately $1.5 million in the past three years and continues to raise funds to reach its $6 million goal. This quarter, the MCF will be contributing $500,000 to The Dana Farber Cancer Institute/Harvard Medical School to fund a clinical trial that, for the first time ever, will enable oncologists to biopsy DIPG tumors and determine their molecular make up. In addition to raising funds, Stephen personally counsels parents & families of DIPG patients and assists them with locating the best available treatments. Dee Dee Ricks, Ricks Consulting Group, Inc.
After being diagnosed with breast cancer, Dee Dee Ricks decided to focus on how she could help others. While undergoing treatment, she raised over 2.5 million dollars to establish an endowment at the Ralph Lauren Center for Cancer Care, an institution that treats undeserved communities in New York. She has continued helping improve standard of care for underserved individuals through her support of the Harold P. Freeman Navigation Institute, her work in D.C. lobbying for Cancer Care related Acts, and her speeches across the country on behalf of multiple cancer organizations. 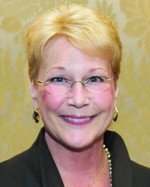 Sitting on the Board of over five cancer-related organizations and institutions, Dee Dee has chaired numerous fundraising events and is seen as instrumental to their success. Her favorite project was launching the Modular Mammography Program, a traveling screening van, which has screened over 3700 women in Arkansas where 1/3 of the counties do not have the capability to offer mammograms. |The Education of Dee Dee Ricks| is an HBO documentary that chronicles her own experience fighting breast cancer, and she continues her work to ensure that other women, regardless of their economic of geographic status have access to testing and treatment. John London's work fighting cancer started in 2003 when his daughter was diagnosed with neuroblastoma, a deadly pediatric cancer. Learning there were no treatments available after relapse, John set out to find one. After reading over 600 abstracts about experimental treatments, he found one that looked promising. John funded a Phase 1 clinical trial, and now |Nifurtimox| is a leading therapy for relapsed neuroblastoma patients. After the passing of his daughter Penelope, John co-founded Solving Kid's Cancer in 2007 to formalize his efforts. SKC finds, funds, and manages novel, highimpact clinical research to improve survival of the deadliest childhood cancers. Since inception, SKC has raised over $7M and has created, funded and actively managed nine clinical trials and four therapy development projects. In 2011, four new clinical trials were created with one neuroblastoma vaccine having the potential to change the treatment paradigm for all children with cancer. For the past 20 years, Canadian Imperial Bank of Commerce has been passionately committed to supporting the Canadian Breast Cancer Foundation's vision for a future without breast cancer. Since 1992, CIBC has raised almost $30 million and helped the Foundation raise more than $200 million. 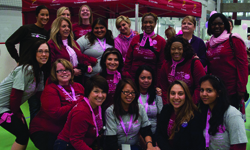 2011 marked the 15th year CIBC was the title sponsor of the Canadian Breast Cancer Foundation CIBC Run for the Cure, recognized as the 'gold standard event' in Canada, annually raising $30+ million and engaging over 170,000 Canadians to walk, run and fundraise. It is Canada's largest single day, volunteer led fundraising event dedicated to raising funds for broad-based breast cancer research, education, and awareness programs. Over 13,000 members of Team CIBC and volunteers participated in the run, raising more than $3 million for the Foundation. In addition, CIBC led a fully integrated and extensive activation plan to generate awareness of the cause and motivate and inspire Canadians to participate. Recognizes a firm for an innovative initiative or event in 2011 that helped to further cancer awareness, raise funds, and fund cancer-related programs. For the past two years, Huntington Bank has sponsored Pelotonia, a grass roots 180-mile bike ride that raises money for cancer research at The Ohio State University's Arthur G. James Cancer Hospital and Richard J. Solove Research Institute. 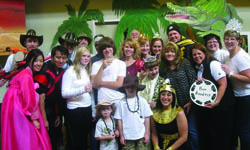 After generating more than $1.5 million in donations in 2010, Huntington set a fundraising goal of $2 million for 2011. The bank surpassed this goal, with the help of their enthusiastic corporate-wide participation and dedicated Marketing, Corporate Communications, and Human Resources departments. Nearly 1,000 Huntington Bank employees rode in the two-day event, alongside 4,000 other cyclists, and more than 1,500 volunteered their time. Riders wore bands with the message |One Goal: End Cancer.| Through Huntington's efforts, Pelotonia has grown exponentially into one of the most well-known and well-attended bicycle events in the country, with a goal of $2.5 million for the 2012 event. After losing her mother to breast cancer when she was a child, Jennifer Atkins has made a personal commitment to help beat the disease. Four years ago, she moved beyond her typical fundraising efforts to initiate a new event |Stacking the Odds| in Sharon, Pennsylvania. The proceeds of this cookie stacking competition benefit Susan G. Komen for the Cure and is an event Jennifer characterizes as |filled with lots of cookies, lots of smiles and tons of hope.| Jennifer found creative ways to engage her 3,000+ teammates at First National Bank and generates company enthusiasm every year. In addition, she encourages First National Bank employees to participate in the company's |Denim Day| and make a donation to the cause. 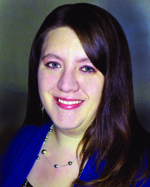 Through both events, Jennifer's initiative, leadership, and passion have helped raise over $16,000 in 2011 and over $75,000 for Susan G. Komen over 4 years. Daniel Benhase has taken an extraordinary leadership role in Huntington Bank's annual bike ride, Pelotonia, which raises money for cancer research at The Ohio State University's Arthur G. James Cancer Hospital and Richard J. Solove Research Institute. 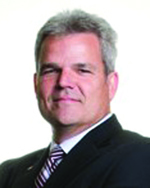 With the help of the Corporate Communications team, Dan created a strategic plan in 2011 and oversaw the creation of a regional and national media relations plan, internal communications plan, and crisis communications plan. 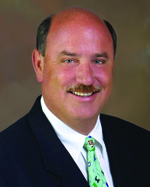 Under Dan's guidance and administration, the 2011 event drew thousands of riders from around the state and the nation, with more than 1,000 of them being Huntington Bank riders, 600 Huntington virtual riders, and more than 1,500 volunteers. 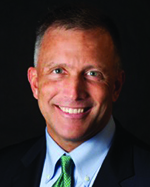 Dan is credited as the driving force behind one of the most successful philanthropic partnerships Huntington Bank has ever engaged in. 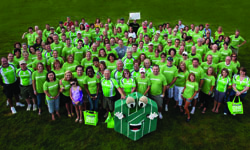 Pelotonia raised more than $2 million in 2011, which was a 30% increase from 2010's event. 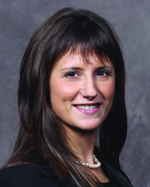 Meredith Burak co-founded The Mary Haas Ovarian Cancer Early Detection Foundation in memory of her mother, a longtime Merrill Lynch Financial Advisor, who died of ovarian cancer in 2009. Meredith currently serves as President of the Haas Foundation and dedicates her free time to organizing events to raise funds for the early detection of ovarian cancer and promoting education and awareness. Meredith was instrumental in working with the Mt. Sinai School of Medicine to formulate a research project to go toward early detection of ovarian cancer. In addition, Meredith helped form a partnership with Fletcher Allen Health Care, the largest hospital in Vermont. The Haas Foundation grants funding to enable recipients to develop protocols and implement provider education and training for screening and awareness. Over the past 11 years, Drew Figdor has been committed to supporting colorectal and ovarian cancer prevention research funded by the Prevent Cancer Foundation. Through his long held dedication and belief, Drew is considered a lifelong friend of the organization. 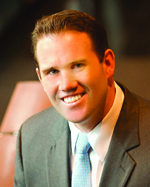 In 2001, Drew's strong desire to give back inspired him to organize an evening of Texas Hold-em Poker for his friends and colleagues in the financial community. Drew and his wife Michele have continued to host this annual event raising over $300,000 to support innovative research geared to prevent and detect cancer early when it's easiest to treat. 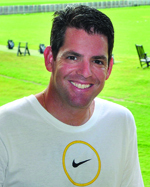 His 2011 tournament alone raised $115,000 (double the proceeds raised at his inaugural event) to support a two-year ovarian cancer prevention research project awarded to Dr. Iris Romero of the University of Chicago to study the effect of Metformin. Neil Hennessy has established a legacy of community involvement over the past 17 years through his work with the Okizu, which provides peer support, mentoring, respite and recreation programs to families in Northern California affected by childhood cancer. Neil, his company, and family have been generous supporters of Okizu's annual |Art Inspiring Hope| event with Hennessy Funds as the title sponsor. Every year, Neil uses his influence to attract others to support and attend this event, while further sponsoring events at his own home to raise additional funds for the cause. Neil's personal commitment shines as one of Okizu's few donors to actually come to the camp to meet and interact with the kids and staff, inspiring all. Hennessy Funds and Neil's family have generously contributed nearly $500,000 with Neil being considered critical to Okizu's operations. Michael Hession's work fighting cancer started in 2009 when he found out his young nephew, Ryan James Harvey, had a rare brain tumor with a survival rate of less than 1%. Michael made it his responsibility to spread the word on behalf of his nephew and helped start the Ryan Harvey Benefit to raise funds for the Harvey family during this difficult time. Michael organized three annual fundraisers bringing in hundreds of attendees and raising thousands of dollars. He brought people together, creating an avenue for friends and family to help when they didn't know how. Michael personally spent many long days with Ryan watching cartoons and drinking Cherry Freeze's while he underwent treatment at the Jimmy Fund. After the passing of Ryan at the age of 10, Michael and the Harvey family hope the Ryan Harvey Benefit will become a Foundation that will raise money to find a cure. a new level by making the initial contribution to establish an endowment, which is the first step towards the organization's goal of becoming self-sustaining. Sharon doesn't just come to the table with a powerful idea, but with the means and method to make it possible. Sharon has continued to demonstrate leadership and initiative by backing ideas such as The SAMFund's re-branding initiative to provide more comprehensive support to the young adult cancer survivor community. Since its inception in 2009, Brendan Krebs has been a supporter of the Mary Haas Ovarian Cancer Early Detection Foundation and its effort to raise awareness and funds for early detection of the disease. Brendan has been an invaluable board member of the Foundation and has been instrumental to the success of the past three annual fundraiser dinner events. Securing corporate sponsors and recruiting new attendees every year, Brendan has helped expand the Foundation's support base within the financial industry by using his influence and resources to attract others to support the cause. 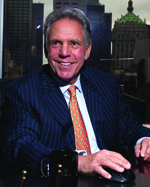 In addition, he has also played a large role in organizing the golf and ski events, promoting both to advisors at Merrill Lynch and other industry professionals. Blair Munn has consistently demonstrated his commitment to charitable causes, especially those related to the fight against cancer. Blair had only to attend one event and hear first hand from the founder Kelly Shires and learn of her personal struggles and many like her, to know that he had to get involved. For the past decade, Blair has been on the Ontario Events Committee and head of the Grounds Crew for the Kelly Shires Breast Cancer Awareness Snow Run. Since its inception only thirteen years ago, the charity has raised over three million dollars to financially assist men and women battling breast cancer. In 2011, the event raised over $440,000 in pledges and corporate sponsorships, with Blair and his family personally raising over $19,000. In addition, Blair is the Chair of the company's iCARE committee, which coordinates IFDS's volunteer and giving initiatives. Through iCARE and Blair's leadership in 2011, an additional $201,000 was raised at a variety of company charitable events to support the Pediatric Oncology Group of Ontario, SickKids Foundation, and the United Way's community health initiatives. After his wife's battle with cancer six years ago, Steve Nagel and his wife decided they wanted to help others in a big way and had an |obligation to the cure.| The couple, deemed two of the most positive and upbeat people you will ever meet, decided to create a golf tournament and the |Swing Fore! Yellow| Golf Tournament was born. The Nagels have since raised close to $800,000 in a short three years in the fight against cancer through this tournament and were ranked as the #1 fundraisers for the LiveSTRONG Foundation across the country. In addition to their successful golf tournament, the Nagels started a family foundation called The 4 Yellow Foundation, which hosts four events annually including a golf tournament, fashion show, mountain bike ride, and ski event. Though these events, the Nagel family raises almost a million dollars a for cancer support, projects, and events to inspire families affected by cancer. 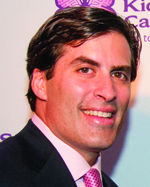 In 1986, along with his wife Barbara and Dr. Francis P. Arena, Martin Sass created the SASS Foundation for Medical Research to help in the fight against cancer. With a world class Medical Advisory Board, outstanding International Scientific and Executive Advisory Boards, the SASS Foundation's goals encompass education, medical research and patient care. The Foundation holds several fundraising events each year, including an Annual Gala which raised over $400,000 last fall. The Foundation's work has expanded dramatically and currently its programs include: grants to bright young doctoral and post doctoral fellows to pursue innovative research projects; sponsoring a visiting professorship of internationally renowned physicians; serving the community by holding annual ovarian and breast cancer awareness days. For over a decade, Ivy Funds and Waddell & Reed have supported the Mid-America Chapter of the Leukemia & Lymphoma Society to help fight blood cancers, particularly in children. Honored eight times as the top fundraiser for the Chapter, they have raised over a half million dollars to-date. 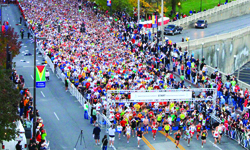 The firm sponsors the Waddell & Reed Kansas City Marathon with Ivy Funds, one of the country's fastest growing marathons, which attracted approximately 11,000 runners in 2011. In addition, the annual |Light the Night Walk| brings together several hundred employees to raise donations, celebrate cancer survivors and remember loved ones. The team ranked 3rd nationally among corporations in fundraising. Once the finish lines were crossed at both events in 2011, $140,000 was generated for the LLS. Much of the ongoing success for these important events can be attributed to the hundreds of employees who continue to be actively involved in giving back to the community and supporting cancer research. Confluence has demonstrated an unmatched and long-term commitment to Gilda's Club of Western Pennsylvania, which creates welcoming communities of free support for everyone living with cancer. Confluence has been Gilda's Club most significant corporate partnership since opening its doors in 2006. In addition to providing financial support, the company is fully engaged with over 80 percent of Confluence employees supporting the Club's various fundraising efforts and volunteering their time. From building sets for the annual Noogiefest to participating in the Family Focus sessions, Confluence's employees and senior executive team is fully involved and wholeheartedly devoted to the cause. Their enthusiasm is contagious and has increased volunteer participation and donor support from other local businesses. Over the past five years, more than 2,000 people have been touched by Confluence's commitment.